Americans tend to enjoy their engine cylinder counts in even numbers. Engines of 4-, 6-, and 8 cylinders have powered an overwhelmingly large majority of the vehicles ever sold in the U.S, and for good reason. The basic design of the 4-cycle engine favors even cylinder counts, at least when it comes to balance and smoothness, with the classic inline 6-cylinder configuration inherently the smoothest of all. Still, there are reasons a carmaker might stray from the tried and true when it comes to engine layout. For purposes of economy, American consumers have occasionally been able to purchase vehicles powered by 3-cylider engines. The Ford Fiesta, for example, can be had with that maker’s EcoBoost 1.0-liter mill, which employs just 3 pistons. More common, though hardly common by absolute standards, is the 5-cylinder engine. Chevrolet markets most of its non-diesel truck engines under the Vortec banner. Though more prone to vibration than any even-numbered engine configuration, the inline 5-cylinder does offer certain design advantages. For starters, it’s easier to package than an inline 6-cylinder, which, for obvious, reasons is longer, and thus more difficult to wedge between a vehicle’s firewall and grille. This issue has become more profound in recent years as hoodlines have lowered, leaving less space in the engine bay. It was specifically to allow for more aerodynamic vehicle designs that Mercedes-Benz famously began moving to V6 engines back in 1997. Inline 5-cylinder engines are also usually less costly to produce than are V6 mills. While a V6 has cylinders arrange in two banks, and thus requires twice the milling, any inline engine has its cylinder bores aligned in a single straight line, which simplifies manufacturing. 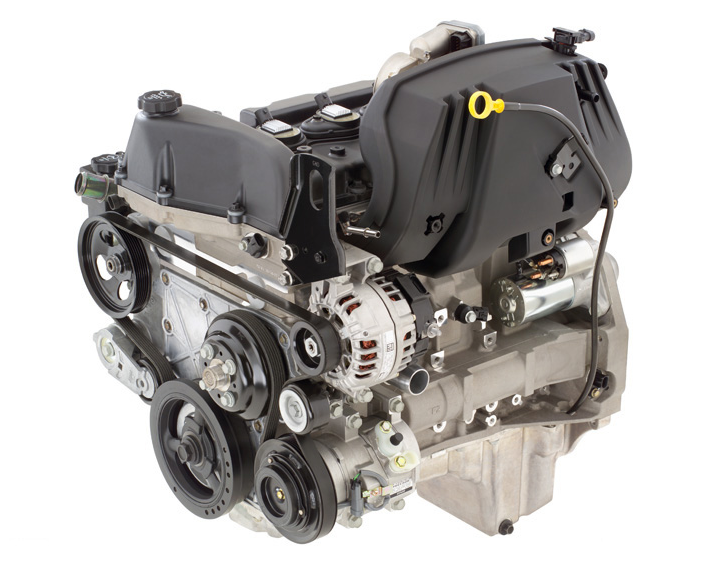 Additionally, with two cylinder banks, a V6 requires two cylinder heads, which adds cost, weight, and complexity to the engine. It’s the German carmakers that have most readily embraced the 5-cylinder engine, with BMW, Mercedes-Benz, and Volkswagen (including Audi) each offering 5-pots in the U.S. at some point in time. Between 2000 and 2005, VW also offered to its European customers the VR5, the only V5 engine ever to find its way under the hood of a modern production vehicle. Other 5-cylinder engines include a 2.5-liter Honda plant that was available in the Acura Vigor. Ford of Europe sold an inline 5 for a while, a version of which powered the previous generation of the Focus RS. Volvo still produces 5-cylinder engines, though it is in the process of switching its entire lineup to turbocharged 4-cylinder engines. Land Rover also offered a 5-cylinder diesel mill in several of its models over the years. Fiat and European engine builder VM Motori have supplied a number of 5-cylinder diesel engines to different carmakers over the years, with those powerplants ending up in various stray brands and models. 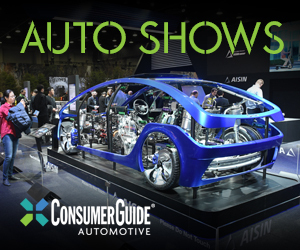 General Motors dubbed it the Atlas engine, and it was a family of inline engines designed to be light weight, fuel efficient, and easy to package. The Atlas family of engines included a hulking 4.2-liter six, a workhorse 2.8-liter four, and, oddly enough, a 3.5-liter 5-cylinder. 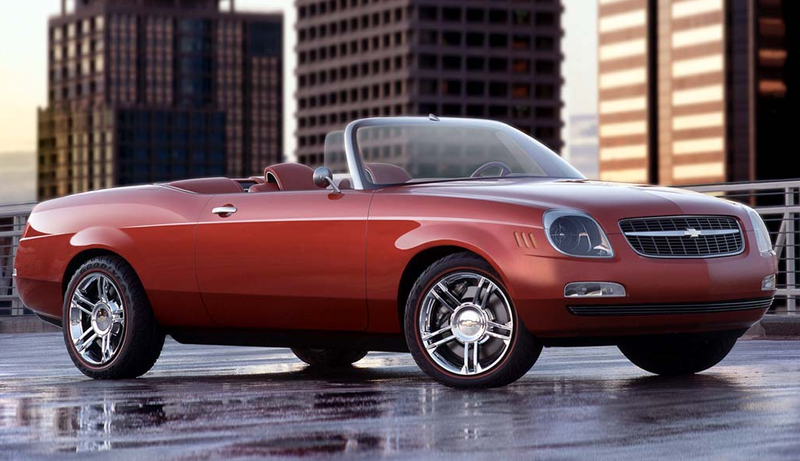 Though not a production model, the 2002 Chevrolet Bel Air Concept was pitched to the public as being powered by a 3.5-liter 5-cylinder engine. 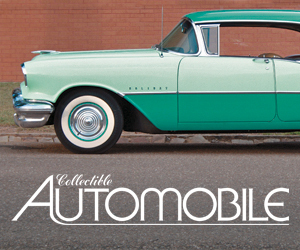 Whether or not a running example of the vehicle ever existed, we consider it the first vehicle powered by the Atlas 5-cylinder engine, and the only car. The first Atlas engine made its debut in 2002 in GM’s new GM360 and GM370 midsize SUVs. Marketed as the Vortec 4200, the 4.2-liter six proved a capable base engine for these burly trucks, which included for ’02 the Chevrolet Blazer, GMC Envoy, and Oldsmobile Bravada. Subsequent model years would bring the Buick Rainier, Isuzu Ascender, and Saab 9-7X, all of which were based on the same GM architecture and would be offered with the Atlas 6-cylinder engine. It was not until 2004 that the Atlas 4- and 5-cylinder engines would come into play. 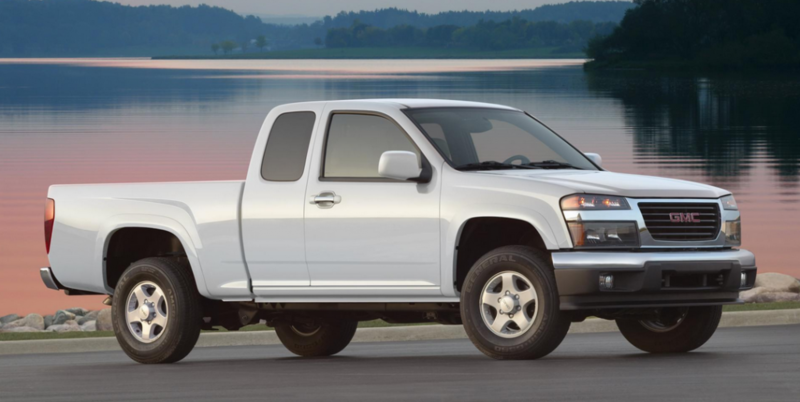 For ’04, Chevrolet and GMC rolled out redesigned compact pickups, both of which would be powered exclusively by Atlas engines. 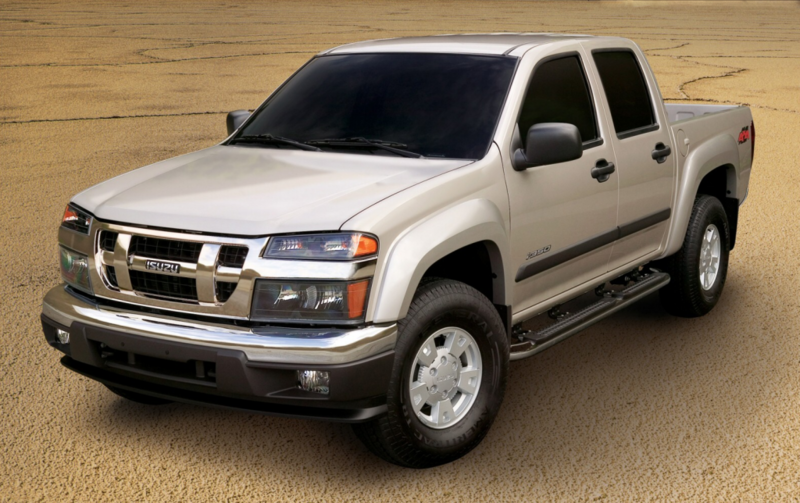 The Chevrolet Colorado and GMC Canyon were offered with the 2.8-liter four (Vortec 2800) as the base engine, with the 3.5-liter five (Vortec 3500) as the optional mill. The big six would not be offered in these trucks. On paper, the Atlas engines looked like good fits for the little pickups. The 4-cylinder engine was good for 175 horsepower, while the five cranked out a healthy 220. One wonders, however, if traditional truck buyers balked at purchasing a 5-cylinder truck, when the previous generation of these vehicles had been available with a burly 4.3-liter V6. The 5-cylinder engine would go on to be optional in an Isuzu clone of the Colorado and Canyon, the i-Series. 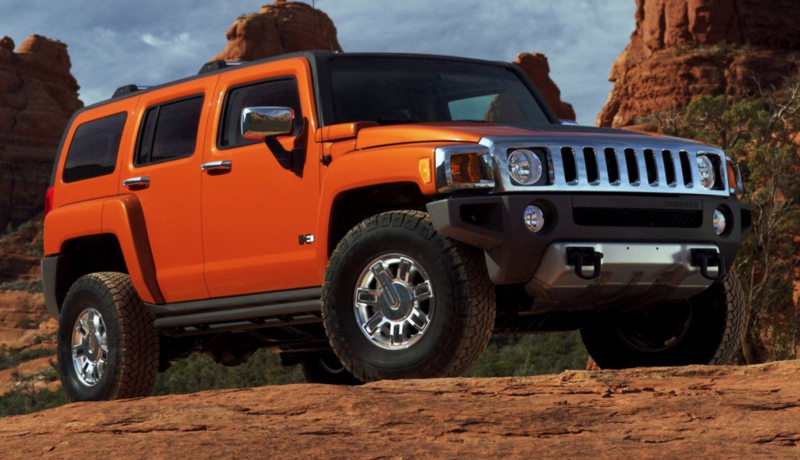 The compact Hummer H3 SUV would also come standard with the Atlas 5-cylinder. Note that for 2007 the Atlas 4- and 5-cylinder engines would receive a bump in displacement to 2.9 liters and 3.7 liters, respectively. Horsepower for the mills jumped accordingly, to 185 and 242, respectively. With the size increase came the predictable name changes to Vortec 2900 and Vortec 3700. The Atlas 5-cylinder engine would survive through 2012, when GM’s compact trucks were redesigned and treated to a new series of base and optional engines. With that the entire Atlas family of engines was retired, with it the only 5-cylinder motor any U.S. maker has built and sold in the States. Amassed here are all the vehicles ever to be offered with the Atlas 5-cylinder engine. Let us know if you ever spent time with one of them. The Colorado and Canyon were the first production vehicles to be powered by the Atlas 5-cylinder engine. The engine was optional on most versions of the Colorado and Canyon, with the Atlas 2.8-liter 4 serving as the standard mill. For 2007 the both the 4- and 5-cylinder engines received displacement and power bumps, and would then go on unchanged through 2012 when the trucks were redesigned. Curiously, though a 6-cylinder engine was never offered in these trucks, a 5.3-liter was made available beginning in 2009. When Isuzu decided to get back into the pickup truck business for 2006, it did so in the easiest manner possible: It simply bought trucks from General Motors and slapped its own grille on them. Thus was born one of the messiest bowls of model-name alphabet soup ever to be thrust upon the American car-buying public. By basing its new trucks’ names on their engine displacement, Isuzu was forced to change those names when the engines were updated for 2007. Thus what were the Isuzu i-280 and i-350 for 2006 became the i-290 and i-370 for 2007, not that consumers cared all that much. Apart from the grilles, these small trucks were identical to the Chevy Colorado, with only stickers–not badges–used to denote trim levels. Needless to say, the i-Series trucks were the only 5-cylinder Isuzu products ever sold on the U.S. The lone socially responsible member of the short-lived Hummer family was also the only model to be made available with a 5-cylinder engine. As the H3 was based on Chevrolet Colorado/GMC Canyon architecture, it only made sense that the drivetrain components would also be shared. The H3 came standard with the 5-cylinder plant, with a 5.3-liter V8 coming along as standard later in the production run. Written by: Tom Appel on August 2, 2017.on January 4, 2018. Summer Cruise Night Season Is Winding Down; Have You Attended One Yet?